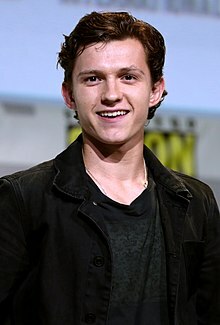 Thomas Stanley Holland(born 1 June 1996) is an English actor and dancer. He is best known for playing Spider-Man in the Marvel Cinematic Universe (MCU) films Captain America: Civil War (2016), Spider-Man: Homecoming (2017), and Avengers: Infinity War (2018). and the upcoming Avengers: Endgame and Spider-Man: Far From Home (both 2019). Other major films include Edge of Winter (2016), The Current War (2017), and the upcoming Chaos Walking(2019). Holland previously appeared on stage in the title role of Billy Elliot the Musical in London's West End in 2008. His other major films include The Impossible (2012), In the Heart of the Sea (2015), and The Lost City of Z(2016). He is also set to voice Walter Beckett in Spies in Disguise (2019) and Jip in The Voyage of Doctor Dolittle(2020). Holland has also signed on to star in The Devil All the Time and Onward (both 2020), and as Nathan Drake in Uncharted. In 2017, Holland received the BAFTA Rising Star Award.